This has been fixed in the next update. you can go into the config file and turn off the recipe to fix the issue for now. This has been fixed in the next update. you can go into the config file and turn off the armor for now if you think it is OP. Awesome! I did end up getting rid of it in config but now im curious as to what you did. Did you make it so the Absorption takes time to recharge or something along those lines? Where can I find the crafting recipes? I would like to make a suggestion; add a Netherrack generator for those void world generations that make everything a void world. I need it for 1.7.10! Backporting to 1.7.10 would take a lot of work so is not on our schedule at this time. Thanks for your interest, though!! Sorry but as arclight has said we will not be backporting. it would take us way to long and way to much of a headache to complete. So we have decided to drop it and keep moving forward. well thats a shame. i really enjoyed your mod kash. 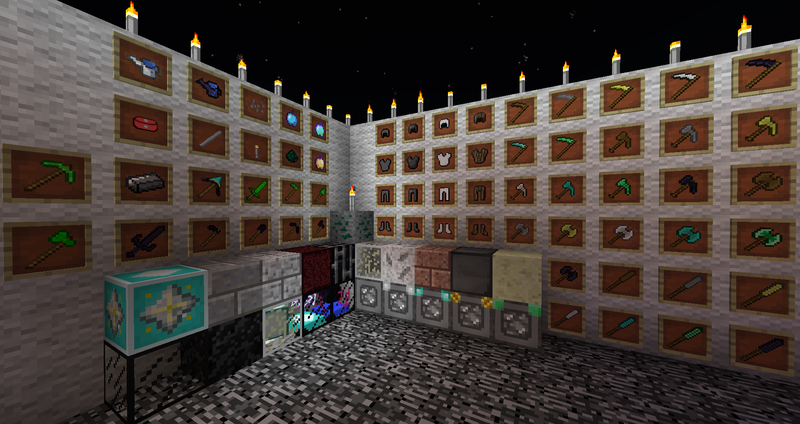 So, I've discovered an issue regarding the interactions between your Cobblestone Generators, Integrated Tunnels, and Storage Drawers. 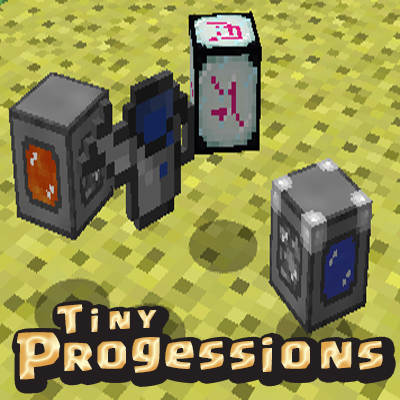 This issue has been fixed in our Tiny progressions workspace and will be in our next update. Will it be a 1.12.2 release? hey there Kashdeya, Just wondering. The spears, they're meant to have extended range, but they don't appear to hit any further in my game currently. is this a bug? I'm on the latest 1.12 version currently. Haven't tried any of the other tools, but liking the ability to have emerald tools. :) would be a good option for when people find villagers to trade with. Also, is the spear meant to use smooth stone? was that done to avoid crafting recipe issues perhaps? Oof. Did you leave a debug message or something enabled in the 1.11.2 version?